New Era, the official hatter of Major League Baseball, produces a line of superhero-themed baseball caps. You can find hats featuring heroes like Batman, but wouldn't you rather have an awesomely ridiculous chapeau like "The Batzarro" or "The Rastafarian Darkseid?" What You Think It Says About You: I strive for the Athenian ideal: a dreadnought-like body and calculating mind. What It Actually Says About You: I am still not over the fact that the girl from Clueless defeated my favorite supervillain in Batman and Robin. What You Think It Says About You: In this technological jungle, I am the undisputed master of the hunt. What It Actually Says About You: In my garage, I have several binders worth of GoBots fan fiction costarring Megan Fox. What You Think It Says About You: I've got that thousand-yard stare. Don't mess with me, bub. What It Actually Says About You: If you approach me in a genial manner, I would be more than happy to explain the laws of succession governing the Shi'ar Imperium. What You Think It Says About You: I support a radical inversion of outmoded social norms. Revolution through inversion, man! What It Actually Says About You: I like this hat because the Sinestro Corp logo subliminally reminds me of Toyotas. What You Think It Says About You: I am a free-spirited pop art spectacle, unencumbered by public opinion. 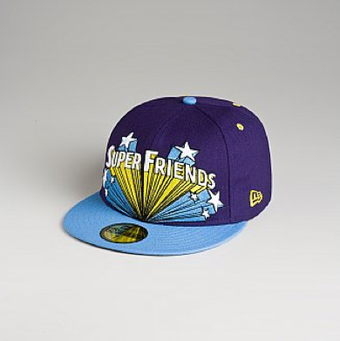 What It Actually Says About You: I secretly like it when my friends ask me if my hat is a factory reject. What You Think It Says About You: I am unstoppable, both in my ambition and convictions. What It Actually Says About You: I am the former webmaster of a Geocities site that explains the geopolitical context of Superman IV: The Quest for Peace. What You Think It Says About You: I aspire to leave a mark on the world as immemorial as the darkness of night. What It Actually Says About You: It is entirely plausible that my iPod contains nothing but Dokken songs. What You Think It Says About You: The status quo is malleable because I say so. What It Actually Says About You: I firmly believe Superman vs. The Terminator deserves to be in canon. What You Think It Says About You: I am a connoisseur of lighthearted kitsch. What It Actually Says About You: 90% of my day is spent wondering whether The Micronauts could best The Herculoids in a bar brawl. What You Think It Says About You: I'm the kind of soul who'll happily explain the thematic intersections of scifi and reggae music spanning from 1981's Scientist Rids the World of the Evil Curse of the Vampires to Major Lazer's 2009 LP Guns Don't Kill People... Lazers Do. What It Actually Says About You: The best day of my life was the time I did half a peyote button and read Crisis On Infinite Earths cover to cover. I have a BA in Old Norse linguistics. My favorite band is Blues Traveler.